Hello strangers! Long time no post! You might be happy to know that we are now living in our new house and things are slowly returning to normal. The kids are back at school as of last week, leaving me more spare time (that 6-week school holiday was torture!) to do what I please – hopefully I can start posting on a somewhat regular basis again (that is, until the new baby is born in April!). I haven’t been baking much or even cooking anything too exciting while I’ve been MIA from my blog, but I did make one notable delicious recipe. You’ll only appreciate it if you like anchovies and saltiness, however. 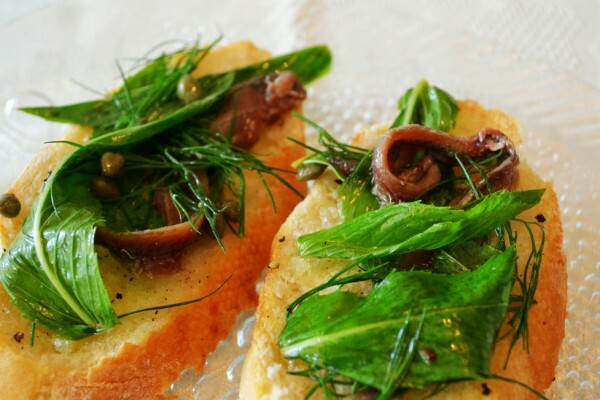 This recipe for anchovy and herb salad crostini comes from Donna Hay Magazine (issue 59). It’s super easy to prepare and tastes so delicious. You can serve it as a snack or appetizer, or even a light lunch I suppose. I had to make one substitution with the recipe; the anchovies were supposed to be “white anchovies”, but I couldn’t find any so I used the regular anchovies that you buy in a tin. I’m not sure what the taste difference is, but I can say the regular anchovies tasted just fine! 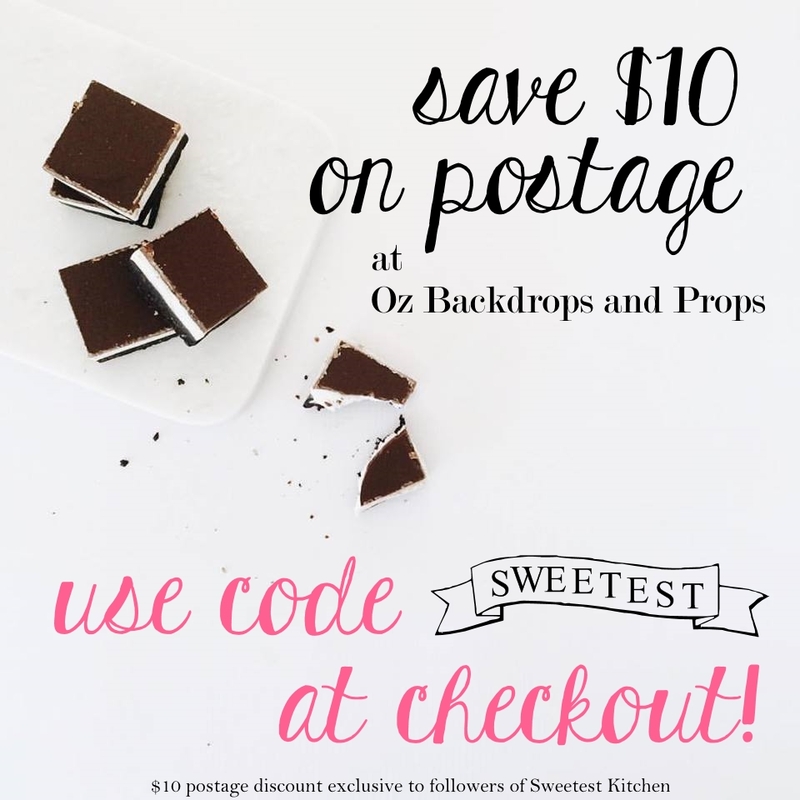 Recipe at the bottom of this post. On a totally separate note, about the same time I was making this crostini, my daughter and I had a little craft session in which we made treasure maps. This doesn’t have anything to do with food, although you do need coffee to make the maps; I thought the idea was so neat that I’d share it here as well. Instructions are simple. Take a sheet of plain white paper and rip the edges off (don’t use scissors, just rip it with your fingers), then crumple up the paper tightly into a ball. Unroll the paper to make it flat again. There are apparently a few different ways to do this, but this is what we did. Fill a shallow baking tray (one that the paper will lay flat in) with water (do this next to the sink). Dip the paper into the water to soak it completely. Tip the tray into the sink to pour out most of the water. Now pour spoonfuls of instant coffee in an even layer onto the paper. To make darker spots or darker edges, pile on more coffee. Leave this for a few minutes, then pour some water into the tray again and use your fingers to completely wash off the coffee. Pour the water out again and lay the tray with the paper in it in the sun to dry. Turn the paper over if necessary. When it’s completely dry (the paper will smell strongly of coffee for a while, but it eventually fades into a light smell), draw your map The above is our one. It looks pretty neat, don’t you think? 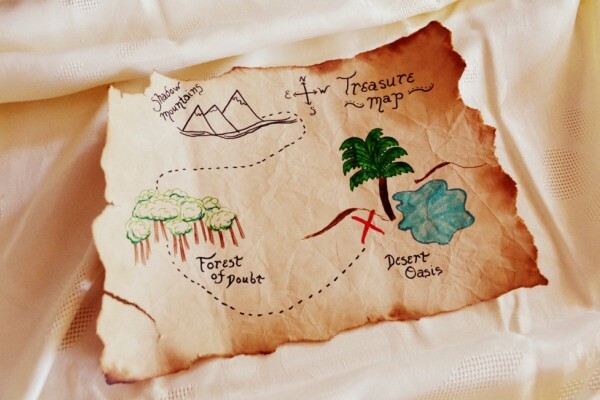 Has been years since I have made a treasure map that looks old. 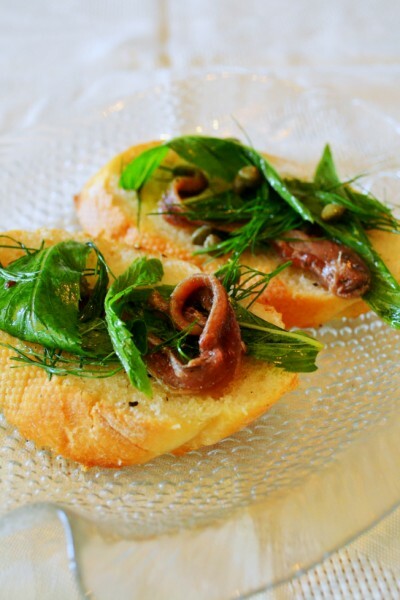 Even though you used tin anchovies on the crostini they would have been just as tasty. I made so many treasure maps as a kid, but used teabags to colour the paper.